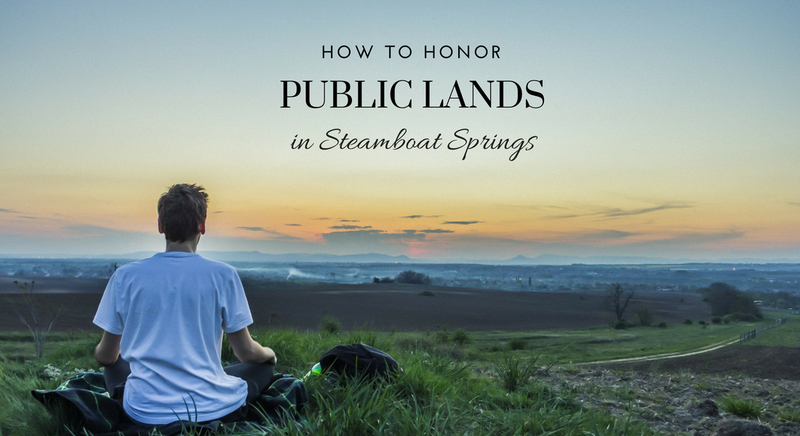 Steamboat Springs is beautiful year-round in part to our wonderful public lands that have been preserved to provide a wonderful space for biodiversity and other habitats. The Yampa Valley Sustainability Council has done a great job of hosting events to raise awareness for our lands. Their goal is to inspire people of all ages to explore, conserve, and protect the natural resource. So where should you go to enjoy all of this beauty? Bridal Veil Falls and Fish Creek Falls is a draw-dropping vista that isn't all that difficult to get to making it friendly to anyone of any ability! Mention the Commuter Challenge Donut Special and receive 2 donuts + coffee for $4. Ski Haus will be celebrating Colorado Bike to Work day with a FREE Pancake breakfast from 7 – 9am. Come by on your commute to work and have breakfast on us. Winners will be announced at this event at 5:30pm. More information to come. So get out, get one with nature, and enjoy everything our public lands have to offer!